Baking a loaf of bread was the only cooking this book could have inspired me to do. Wynter has her "Chef", the starter of her French baking days. I have my newly formed Ms. Tippity, the sourdough starter I baked my first loaf with. The night before, I took the starter out of the fridge and measured out 2 tbsp. To this I added 1/2 cup of water and 1/2 cup of whole wheat flour, then left it overnight. Next morning, I added another 1/2 cup of warm water and enough plain flour to knead it into a smooth dough. Once I'd added all the flour and halfway through my kneading, I also added 1/2 tsp salt. Formed it into a ball and left it in a greased bowl for 3 hours to double. Punched it down gently, then shaped it into a round loaf. Left it on a baking sheet lined with parchment to double again, another two hours. Heated the oven to 190C, then slashed the top of the loaf with a sharp knife and baked until golden. 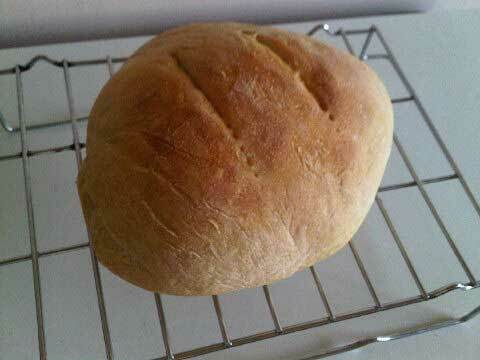 Because I used a lot of starter, the bread was less sour than my previous rolls. But off it came with a crackling crust and a soft crumb, the perfect bread. Janaki, our newest member, takes the "halve the yeast" message from the book and makes a whole wheat bread. Aqua tries "halve the yeast" too for her white bread. Sweatha makes Swirled Nutella Scones. Sheba, another new member of the book club, bakes Patty's Cake. And we have another new member still. Bhagyashri, our third new entrant this month, makes cherry scones. Also hop over to Ann's to read her review. Next month, we are reading Ladies Coupe by Anita Nair. Please leave a comment here if you would like to join us. Ah....fresh bread...I can almost smell it here. 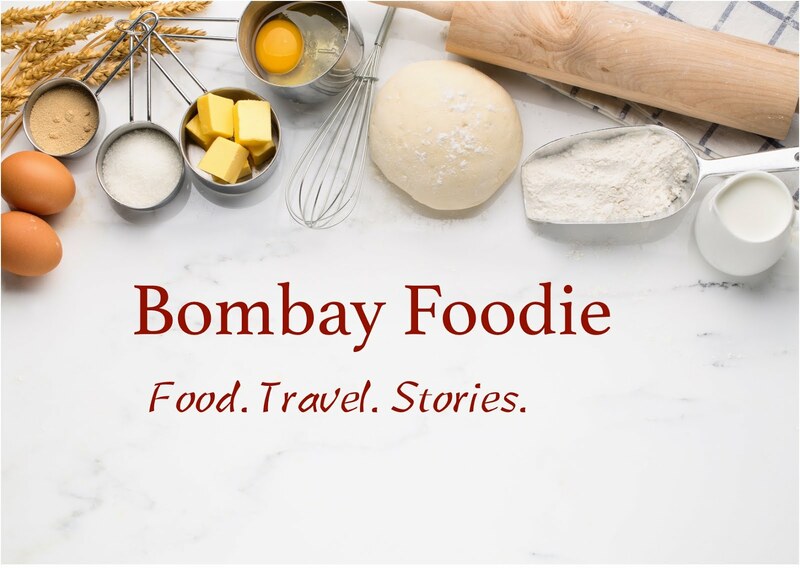 Love the book and the bread Simran.I want to try the sourdough,but not yet confident.Love your review -the book has strong characters. Got the book atlast and can't put it down.I am still reading it,but since I came across scones in the book,I have made nutella scones.I will be posting tday and will also be baking Misha's pumkin and millet muffins today. That bread looks sooo... good. You said it Simran -- crackling crust and a soft crumb does make a bread perfect. I am going to sit the review out this time but will definitely get hold of the book and read. That loaf looks PERFECT. You are quite the boulanger yourself, ma'am!